It started at age 4, seated at the piano. A single note that moved and morphed through the years, becoming Peter’s unique musical language. His organic fusion of qualities—the distinctiveness and improvisation of jazz, the soul of blues, and the compositional technique of Bach, Beethoven, and other classical composers—led to an emergence of new sounds, a new feel, a new purpose. Peter’s broad career in the music industry as composer, pianist, singer-songwriter, and entrepreneur started as a budding teenage jazz musician in Chicago. He studied jazz at the Bloom School of Jazz (Chicago, IL), majored in jazz at Indiana University (Bloomington, IN), and majored in composition and piano at Eastman School of Music (Rochester NY). Later, he studied film scoring at UCLA-Extension (Los Angeles, CA). In 2016, Peter’s music hit a major turning point. He developed a hybrid platform—an album-ebook—to showcase his latest musical endeavor within his memoir. Blues, Preludes & Feuds, A Musical Memory is a seamless blend of original solo piano music and story with deep technology-art interactions. The music skillfully wends around the narrative, telling the story in its own way. The memoir is a funny, reflective tale of growing up in the politically charged times of 1960s Chicago as Peter journeys to discover his musical language. Over his career, Peter’s prolific musical work has run the gamut—solo piano, orchestral, chamber, theatrical/film, choral, pop. Various ensembles have performed and recorded his work globally—the Czech National Symphony Orchestra recorded his orchestral dance suite “Walls” (1996), and the Dallas Black Dance Theatre performed “Walls” during the 1996 Atlanta Olympics. Peter’s concert work is published by Oxford University Press; his film and television work is published by Wild Whirled Music. His music has been licensed for television shows, jingles, and industrials, including My Name is Earl (NBC, 2006). In the mid-to-late 90s, Peter led the Revolution Ensemble, a group that broke new ground with its adventurous mix of jazz, classical, Latin, and pop genres. Since 2001, he has headed the Peter Saltzman Band as lead singer, pianist, songwriter/arranger—and produced CDs/demos for Chicago-area artists. 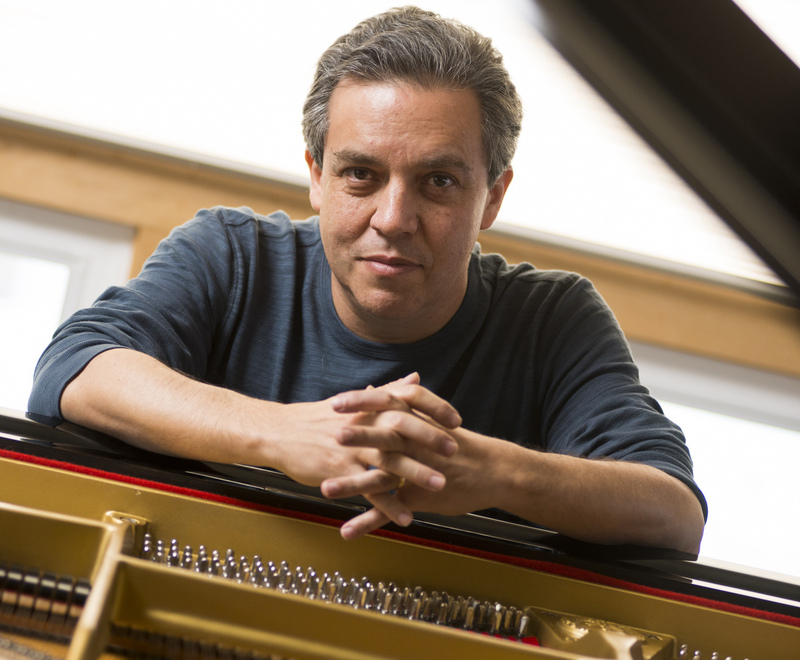 From 2006 to 2014, Peter was an adjunct professor of music at the Columbia College Chicago, where he developed and taught a series of courses entitled “Technology for Musicians” and taught piano and theory.